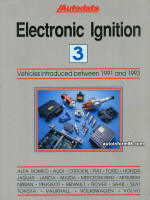 Electronic Ignition (Системы зажигания). Модели с 1991 по 1993 год выпуска (Том 3). Battery in good condition and fully charged. HT circuit and leads in good condition. All fuses in good condition and making good contact. All electrical connections clean, dry and secure. Steering wheel in straight-ahead position. All ancillary electrical equipment, including AC, switched OFF. Disconnect one spark plug lead. Connect test spark plug to lead. Using insulated pliers hold plug 6 mm from suitable earth. Briefly crank engine with starter. Check for strong blue spark. If spark visible carry out Test 1.2. 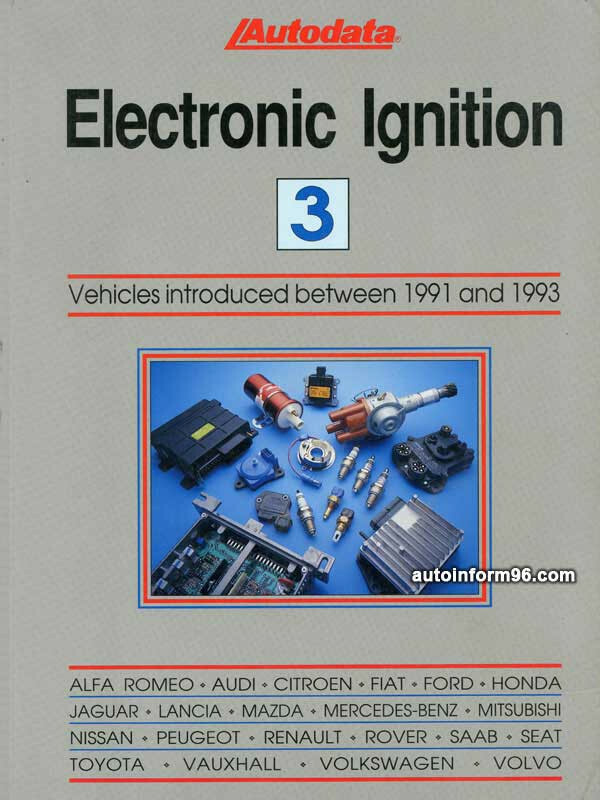 If no spark visible - see HT Circuit & Component Checks at front of manual. Check HT leads correctly connected B. Remove cover from ignition timing adjustment connector (brown) B. Using jump lead, connect timing adjustment connector to earth. Check timing at crankshaft pulley. Compare basic timing with that specified. Pre 11/92, adjust if necessary by turning TDC/crank angle sensor. 12/92 on, if timing not as specified, check crankshaft sensor. Disconnect jump lead from connector and refit cover. Compare standard timing with that specified. 'CHECK ENGINE' lamp on fascia will illuminate when timing connector earthed.